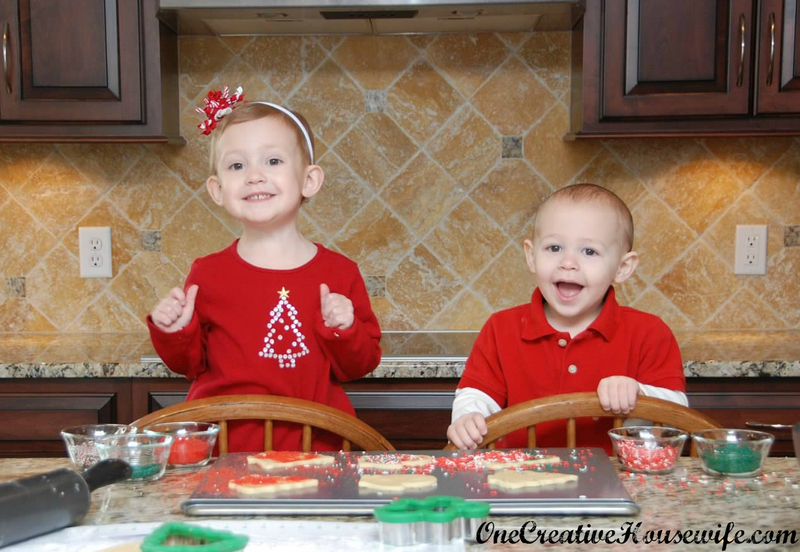 One Creative Housewife: 9 Christmas Traditions Your Kids Will Love! 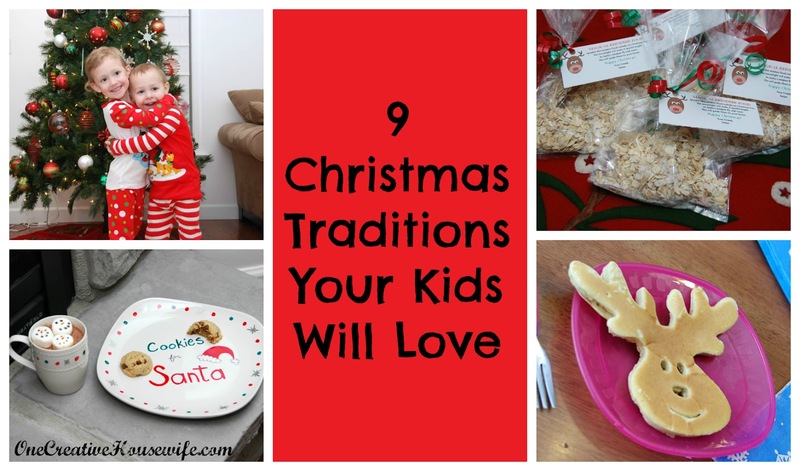 9 Christmas Traditions Your Kids Will Love! One of the reasons I love holidays so much is the excitement I see in my children. 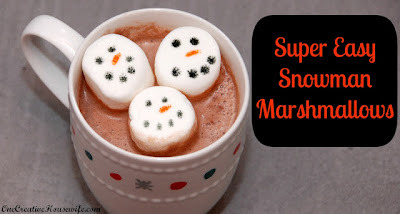 Because of this, I am always looking for ways to create more memories for them. Our Elf is a Christopher Pop-In-Kins Elf* and brings tons of joy throughout the end of November and the month of December. He works exactly as the average elf on a shelf, he just looks a little different. On December 1st when my kids go upstairs for their bath, Christopher Pop-In-Kins brings them each a wrapped gift. This gift is always their LEGO advent calendars. 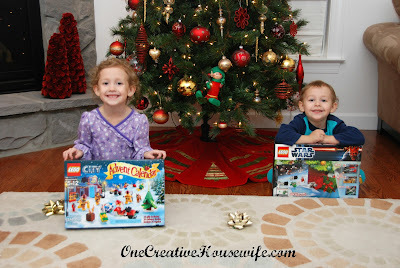 Any kind of advent calendar is fun, but in this house, if there is a way to incorporate LEGOs into something, we do it! 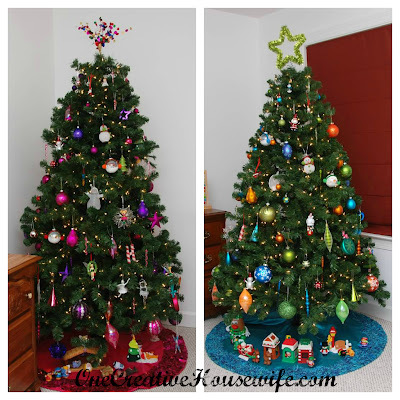 They each get their own Christmas tree in their room. Whether the tree is little or big it is fun to have one of your own! 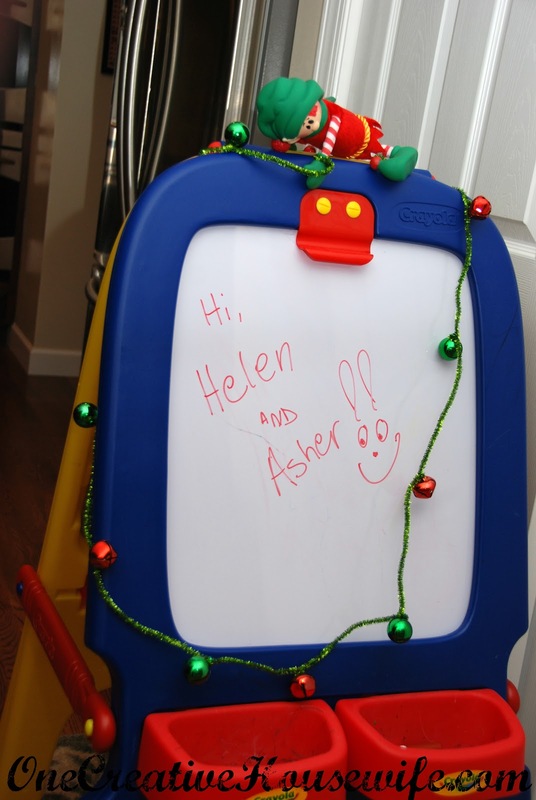 The Portable North Pole is this adorable site where you can make a personalized video for your child from Santa. 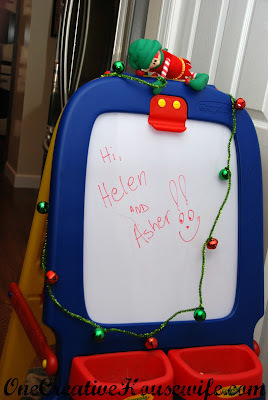 We videotape my kids watching their video each year. Their reactions are priceless!!! 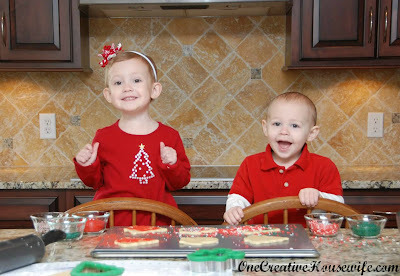 Whether you make them from scratch or use refrigerated cookie dough; making cookies for Santa is a great way to create memories with your kids, and a great way to spend a day. On Christmas Eve when my kids go upstairs for their, Christopher Pop-In-Kins brings them each a wrapped gift. 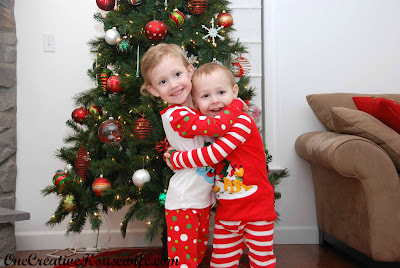 This gift is their Christmas pajamas! He also leaves them a good-bye note telling them he'll see them next year. On Christmas Eve the kids help me prepare a plate for Santa's reindeer using carrots and magical reindeer food. 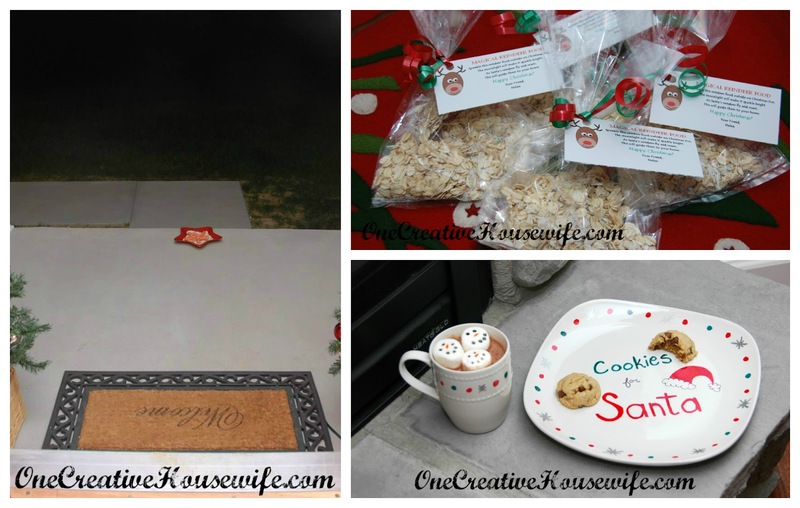 We also make a plate of cookies for Santa. Most years something actually eats our reindeer treats. This only helps with the magic. 8. 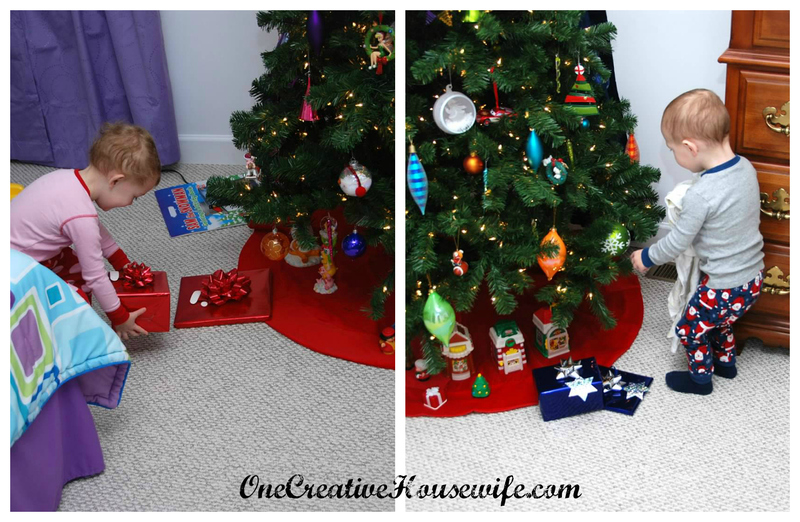 Presents Under Their Tree. When my kids wake up on Christmas morning there is a new ornament for their tree and a book wrapped from Santa under the trees in their rooms. The ornament is always something that they liked that year to represent them. On Christmas morning the kids are aloud to eat Christmas cookies while we open gifts. After we open gifts, I make fun shaped pancakes using pancake forms from Williams-Sonoma Kids. They get to choose what shapes they want and if they want chocolate chips in them. My kids remember these things from year to year and hopefully when they are older they will look back and remember all the fun times we have had. What are some fun traditions that you do? Nice list. Happy to report I do most of them. I don't leave presents under the little trees in their rooms, but that is a great idea! And a goodbye letter from the elf is a great idea too!